Edinburgh-based Hamilton Waste and Recycling has made three acquisitions as the company continues the expansion of its skip and commercial waste operations. The acquisition of Citiwaste Recycling, Tartan Waste and Colinton Skips will further expand Hamilton’s collection capacity in the region and is a clear demonstration of the company’s plans to accelerate the growth of its commercial and industrial waste business. Family-owned Hamilton Waste & Recycling was founded in 2002 and operates over 30 waste and recycling vehicles in and around Edinburgh. 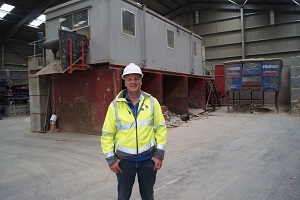 In recent years, the company has invested over £10m in developing what has now been recognised as the UK’s most sophisticated recycling facility, capable of recovering and diverting over 97% of the commercial and construction waste it processes. Waste that cannot be recycling is used in the production of a waste derived fuel, which is in turn used to offset traditional fossil fuels.